At the start of a faceoff involving this card, turn it over. 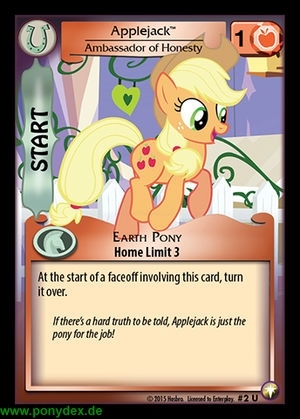 If there's a hard truth to be told, Applejack is just the pony for the job! Main Phase: Remove a +1 power counter from this card to put a +1 power counter on one of your Friends. 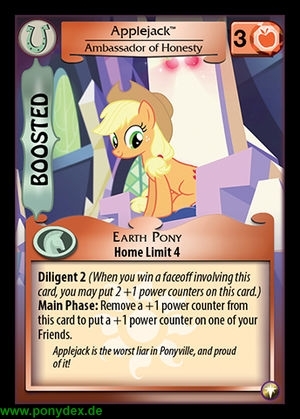 Applejack is the worst liar in Ponyville, and proud of it!